Depression is characterized by a state of low mood that causes you to feel hopeless, helpless, worthless, and lose interest in activities that you normally enjoy. Furthermore, you will find that pains like headaches, backaches, muscle aches tend to worsen when you are stressed and depressed. In addition, when this persistent sadness goes on to interfere with your daily life and affects your day-to-day activities then it becomes a mental illness known as clinical depression or major depression. Nevertheless, you can beat depression with certain tips and suggestions. These strategies, however, are not a substitute for your doctor’s advice and medications. Doing something creative allows you to get in touch with your emotions and vent those emotions through creative expression. 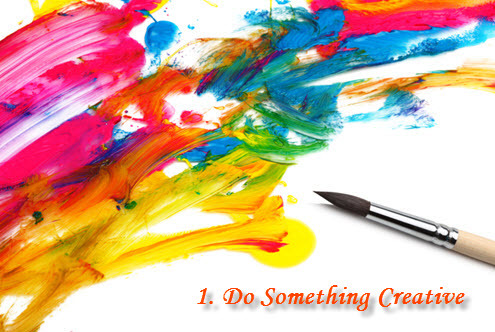 Thus, art therapy is considered as a wonderful too to combat depression. So, you can engage in drawing, painting, dancing, listening or playing music, etc. can help relieve depression. 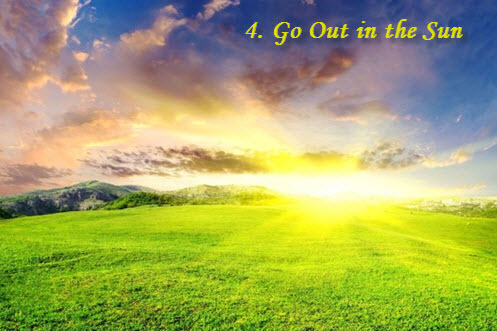 These activities help you express yourself and eliminate negativity. Do not give in to your critical, self-destructive mentality that holds you back from achieving your goals and making your life meaningful. In fact, as soon as you recognize this critical inner voice that gives you a sadist point of view, do not listen to these negative thoughts. Rather, challenge and attack this mentality with more realistic and positive thinking. For doing this, you need to be well-equipped with compassion for yourself. Plus, it is recommended to take up tasks that you generally find pleasurable, even if you do not feel like doing them at present. Furthermore, do not isolate yourself from others. Soothing fragrances can have a wonderful effect on people dealing with mild forms of depression. It is believed that natural plant oils help stimulate several regions of the brain. Therefore, you can follow aromatherapy by putting essential oils like that of clary sage, lavender, geranium, lemon, rose, orange, bergamot, neroli, etc. in an aromatherapy diffuser or potpourri cooker. You may try an aromatherapy room spray, too. 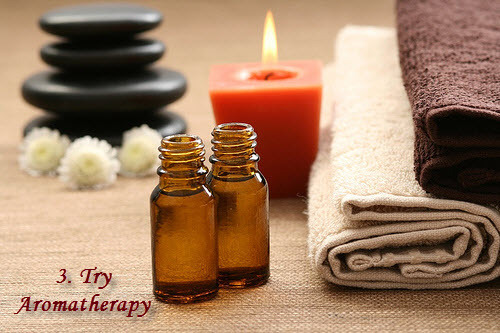 Besides, make use of aromatherapy massage and bath oils to uplift your mood. Exposure to bright sunlight for about half an hour can brighten up your mood and relieve stressful feelings because it boosts the serotonin levels in your brain. Thus, it works as a great natural anti-depressant. Furthermore, spending some time out in the sun also boosts your immunity. Basically, when sunlight reaches your retina, it tends to stimulate the optic nerve, which in turn, sends a signal to the part of the brain that produces melatonin and serotonin. It also works as a good natural remedy for depression caused by seasonal affective disorder (SAD) and pregnancy. More often than not, depression affects your appetite, whether by increasing or decreasing it. In both the case, it is essential to get the right nutrition. 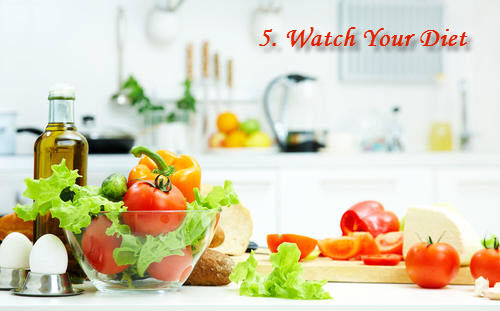 So, pay attention to your diet, eat healthy foods, and avoid mindless eating. Furthermore, you can snack on foods that boost your mood. Some such foods are apples, bananas, oranges, walnuts, salads consisting of dark green leafy vegetables, tomatoes, and so on. Foods rich in omega-3 fatty acids, in particular, are useful in enhancing your mood. Hence, you may take fish oils or some other similar supplements. You can elevate your mood by having a piece of dark chocolate. In fact, it is considered effective in treating depression because it contains high levels of phenylalanine which stimulates the production of serotonin and dopamine. 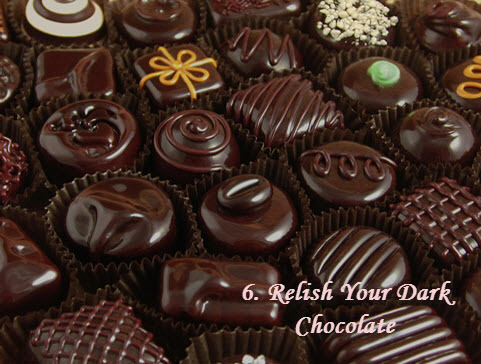 Moreover, dark chocolate contains reservaeratrol, a powerful antioxidant that protects against heart disease. Needless to say, do not indulge in this sweet treat too much as it can have a negative effect on your health. In addition, relying on a comfort food to improve your mood is not a healthy habit. Regularly engaging in physical activity for a least half an hour and getting a good night’s sleep can prove to be highly effective ways for treating depression naturally. Exercising helps ease stress and depression because when you exercise, your body releases endorphins. These chemicals give you a positive feeling and a refreshing outlook on life. 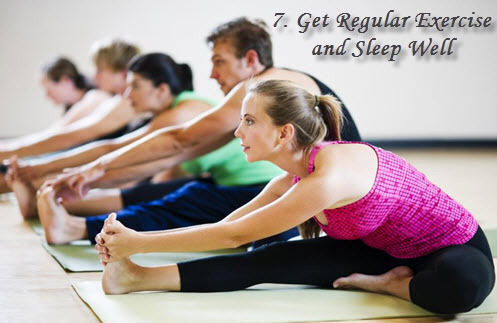 Moreover, regular exercise contributes in improving your sleep, relieving stress, increasing energy levels, and improving heart health. The effects are similar to that of morphine but are not addictive. Adequate sleep, too, is important for maintaining a good mood and reducing irritability because it helps release neurotransmitters and endorphins. In fact, lack of sleep or sleep deprivation is likely to worsen your depression as it affects the cognitive and brain function. By the way, proper also assists in healthy hair growth!